For most people, the word "home" conjures up a sense of security, shelter and sanctuary. Home is a place where families and friends can sleep soundly, share food and enjoy each other's company. The concept of "home" can, however, have a very different meaning and this is the subject of the "Home" photography exhibition currently showing at The National Art School Gallery and the Sherman Contemporary Art Foundation. This exhibition encompasses a photographic installation by Chien-Chi Chang and short video stories by Chen Chieh-jen, both acclaimed and respected Taiwanese artists. Each explores the concept of "home" from the perspectives of people who are marginalised and outsiders and for whom "home" takes on a different meaning. The first part of the exhibition, located at The National Art School Gallery, is a haunting photographic study by Chien-Chi Chang, his work focusing on people whose bonds to society, family and community have been severed. The life-size photographs portray Taiwanese psychiatric patients living inside an institution which also serves as a chicken farm in Taipei. 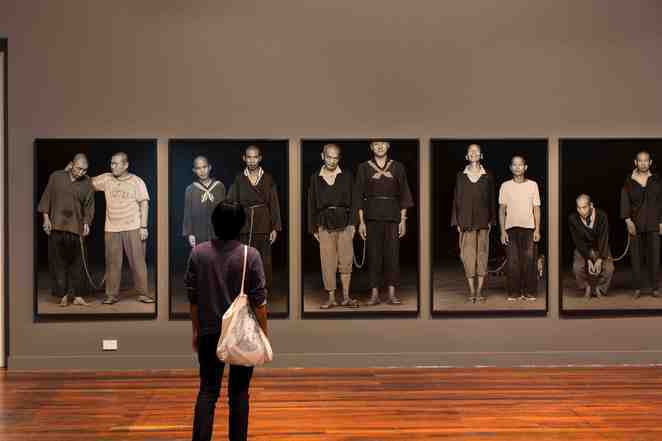 The photographs, entitled "The Chain", depict the patients, expressionless and chained together in pairs. The chains were a form of therapy used by the institution to bind the "stable" patients with the "less stable" patients in the belief that one would have a positive influence on the other. The institution was endorsed by society as it "unburdened" the families of their mentally ill relatives and the shame and secrecy associated with this. However, the theory behind the therapy is disturbing. Whilst confronting and disquieting, some of the photographs reveal glimpses of caring and connection between the patients, they having become surrogate family for each other and the institution having become "home". 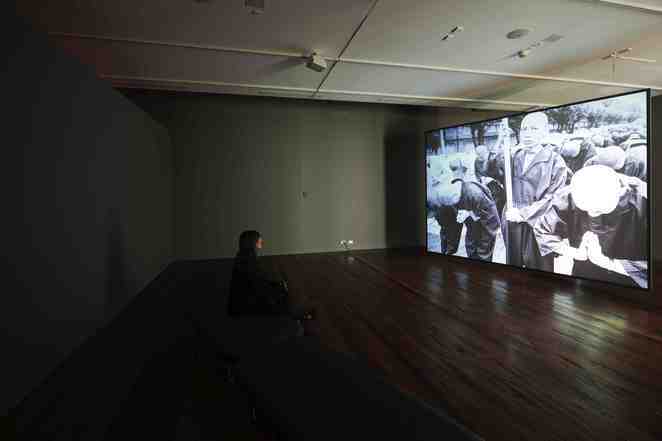 A further series of works depicts the lives of Chinese migrant workers in Chinatown, New York. These migrant workers are shown living and eating in cramped spaces, separated from their families in China in the hope of earning more money whilst their families wait back in China for the next pay cheque to arrive. The concept of "home" takes on a different meaning again in these subjects' lives. The next part of the exhibition located at the Sherman Contemporary Art Foundation, "Realm of Reverberations", is a series short stories captured on film and audio by Chen Chieh-jen. Visitors will have the opportunity to hear the stories of women who have a unique connection to a leprosy hospital in Taiwan and about displacement from this "home" when the Taiwanese government decided to close and demolish the establishment. The photos convey a sense of loss, loneliness and mere existence. These stories are complemented by four audio interviews with marginalised women who visit The Wayside Chapel in Potts Point, Sydney, each sharing their stories of homelessness and hardship and the struggles they've encountered. They speak of anxiety, hopelessness, living rough and their own perception of "home". The exhibition will challenge visitors to contemplate anew the concept of "home" and what it means to different people. 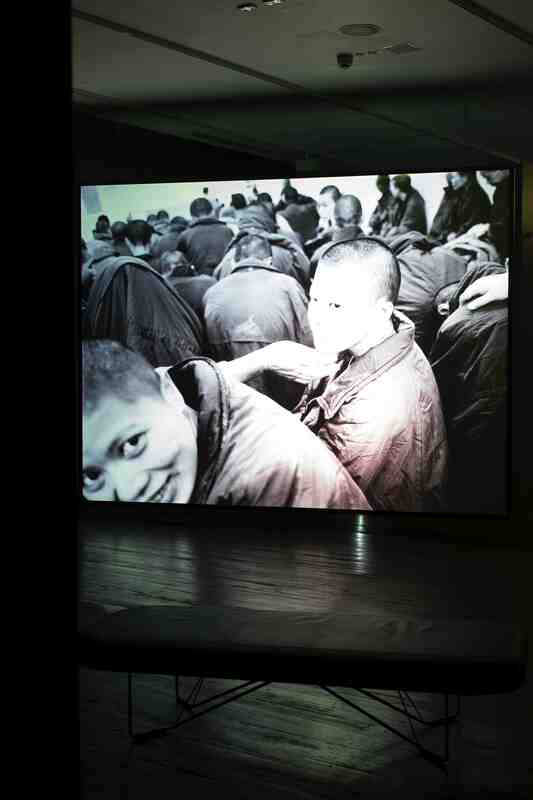 And whilst many of the images will be unsettling, the exhibition delivers a poignant message and truly brings home the need for all of us to share our humanity and relative fortune with those less privileged. 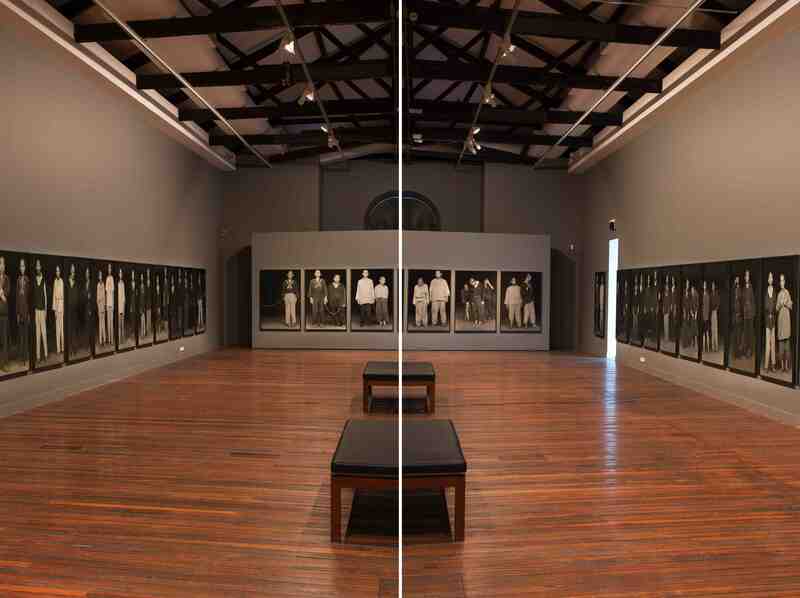 "Home" is on at the National Art School Gallery and the Sherman Contemporary Art Foundation Gallery until 2 August 2014. For more information, see below or visit the website.